All priests under the law of Moses came from the tribe of the Levites. Jesus came from a different tribe (Judah), which brought a change of priesthood. With Jesus becoming our High Priest, this would mean there was also a change of law. The "change" here means a transformation or removal of the former commandment under the Old Covenant. 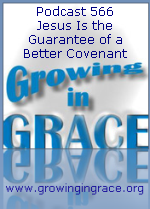 The result was God providing Jesus as a guarantee or assurance of a better covenant. The Old was annulled and the New would ensue.